We have lots of oil painting classes on Obby. To help you decide which is the right class for you, we are taking a further look at some of the most famous oil painting techniques that you can explore. When painting with oils you need to add different levels of solvent to your oil paints, to change the viscosity of them. This alters the appearance, the texture of the painting dry and the way they behave when painting with them. It's a skill to know exactly how much solvent to oil paint ratio you want to use whilst painting with oils, but it is essential that you always start with lighter layers, building up to the thicker layers to the end of your painting. Where does the fat and lean come in? The more lean your paint, the more solvent, turpentine or thinner you add to it. Therefore, the more oil used in your paint the fatter it is considered. It mean's 'at once' in Italian, the alla prima method of oil painting refers to when the artist paints directly onto a while canvas in a single session. This method was popular with the artists Frans Hals who used to paint portraits alla prima. He would however go back to the portraits to glaze the clothing of his subjects. You can always apply more than one method of painting to a single painting, some sections can be done using one technique, and the rest with another technique, just like Hals did. Painting 'en plein air' is a French term that means 'in the open air.' This oil painting technique is practised when the artists paint directly from the outdoor landscape. This technique can though, be translated across into various different mediums, and is considered a technique in drawing, acrylic, pastels and watercolour. The mood, colour and atmosphere can really be captured by the artists in a plein air oil painting in a way that doesn't naturally come across in oil painting translated in a photograph. Monet favoured plein air as an oil painting technique, so follow in his example. Underpainting is an old master practice. In this process, artists will paint their entire painting first in tonal colours, using only variations of black and white. This creates a tonal range, so they can create volume to the subject or forms they are painting. After this process is completed, the artists can then use transparent colours added to give the colour to the whole painting. Italian for softened, this oil painting technique refers to the very gradual transitions from light to dark. This technique is famous because of Leonardo Da Vinci. If you look at his paintings in comparison to others you can see how the shadows are blended out with a soft brush. Sfumato painting takes a lot of layers and neutral tones, although there are no rules when deciding to use this oil painting technique. 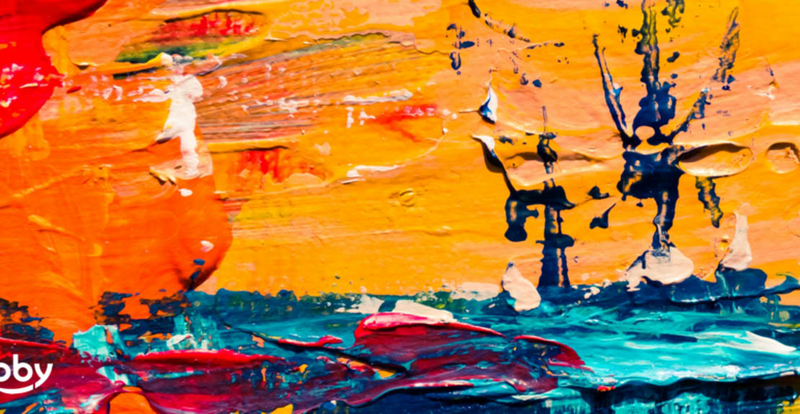 Impasto is the oil painting technique of applying paint thickly, so that the brush strokes are clearly visible and together they create a texture effect. Painters famous for this are Freud and George Bellows. Sunday classes in Kingston are a lively experience of about twelve, friendly and focused where everyone wants to learn whilst Allan's Weekday Studio classes are smaller and more intimate with a maximum number of four ensuring almost personal tuition for attendees. You can book any of his classes and find out more details about his oil painting classes on Obby. This 11-week course is suitable for beginners but more experienced painters and drawers are welcome to join. This course will build your confidence and skill in drawing and painting from observation. We will look at the building blocks of drawing, exploring line, tone and texture. We will learn how to use a viewfinder and discuss ideas behind the composition. We will experiment with pencils and charcoal and progress to basic oil painting: monochrome, colour theory and mixing and develop further with the individual project. We will draw and paint mainly from a still life. In addition, we will have two sessions with a life model. We will learn about painting materials, medium and various surfaces to paint on and how to prepare them. By the end of the course, you will be able to start on your individual projects, set yourself a still life and start to paint in your own time and space. Find out more about the course, and when it takes place, on Obby.